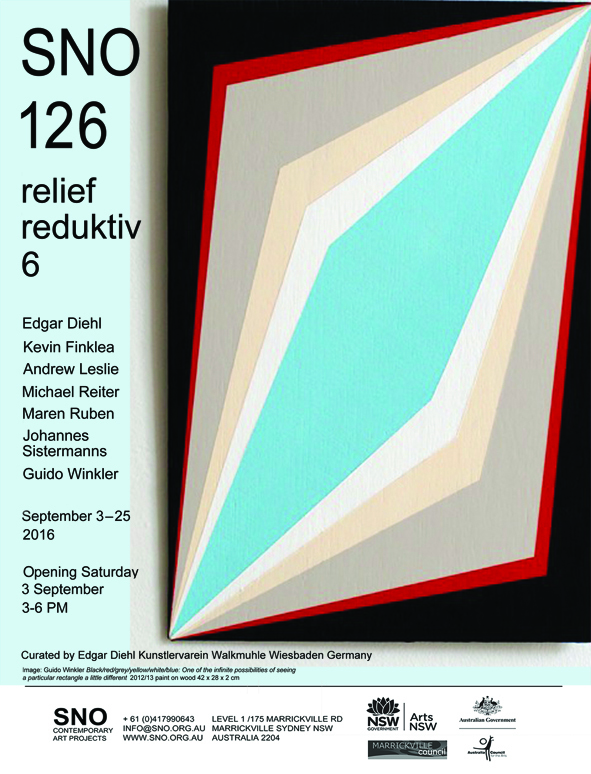 This show was curated in 2012 to fill a 30 years gap on the topic of relief in the Non Objective Art in Europe. The first place I showed it was in my home association Künstlerverein Walkmühle in Wiesbaden, which is developing now to an important cutural center in the Rhein- Main area. The show was appreachiated by the scene of Non Objective Art, so that it went in the meanwhile to 4 other Kunstvereine with 21 participating artistsw from 7 countries. The last station of "reliefreduktive" is the place of Non Objective Art in Australia the famous SNO (Sydney Non Objective). A very nice catalog came out in surface edition, Darmstadt.